14 sep 2017 - Dit semester heeft de afdeling Management in the Built Environment de eer om professor Fulong Wu te ontvangen. In het kader van het Visiting Professors-programma nodigt de Faculteit Bouwkunde ieder jaar enkele nationaal en internationaal gerenommeerde ontwerpers en onderzoekers uit die met hun visies en netwerken bijdragen aan de vernieuwing van het onderwijs en onderzoek. Professor Wu zal de komende maanden samen met studenten en onderzoekers de stedelijke ontwikkeling van China verder doorgronden. Dit verslag van de openingslezing is alleen in het Engels beschikbaar. During this public lecture Visiting Professor Fulong Wo explains the evolution of the concept of ‘the city’ in association with Chinese political economic changes and argues that the concept cannot be properly understood without interrogating the position of the city in its national economy, multi-scalar governance, the institution of land, dynamics of financing infrastructure. The making of the ‘urban’ has been made through transforming work-units into a more territorial-based economic governance – namely the city as an asset for growth. The understanding of Chinese cities opens up new possibilities of understanding the urban with a greater attention to governance which involves a wide range of actors in territorial politics. This also requires more understanding about the complexity of city planning. Although the Chinese context of planning is quite specific, recent reading of entrepreneurial governance and declining of democratic participation in the West would need to be further interrogated. Professor Wu starts his public lecture by showing two Chinese characters, which separately mean ‘local’ and ‘market’ and together they are translated into the single word ‘city’. This makes the audience believe that Chinese cities emerged out of local markets. Historically speaking this might be the case, but the last decades Chinese cities are popping up like daisies. Although they do not grow out of local markets anymore, still an economic force is driving the emergence of Chinese cities. As a Visiting Professor at the Faculty of Architecture, department Management in the Built Environment, Professor Fulong Wu wants to dive together with students and researchers into the topic of the emerging Chinese cities. He follows the paths of three main users of Chinese cities: the rural migrants in urban China, the existing residents inside the city and the political elite. China is experiencing fast urbanization on locations that are characterized by new features which cannot entirely be described by existing theories; the development of the new Chinese cities is not following a pre-defined trajectory. Globalization has transformed ordinary places outside the global city into new agglomerations by providing work that attract migrants, like the Desakota area in southern China. We can distinguish a shift from a rural to an industrial to an urban area. We can say that the city has become the place to make a living, or the other way around: the place to make a living has become the city. During the shift from an industrial to an urban area it is hard for the factories to find accommodation for their employees; factory dormitories are being build that are expensive and family unfriendly. Migrants prefer living in informal urban settlements, urban villages. Migrants were considered as floating, but they are actually networks. This has less to do with clustering but more with particular urban-rural dualism in land and governance; while society in rural areas is based on family ties, local associations, culture and status, in the city society is based on specialized vocational groups, and relations are no longer only territorially based. The existing urban population uses the city to create a ‘space on their own’, home ownership raises an unprecedented interests in property rights. However the institution of the state is also consolidating neighborhood governance. The clustering in gated communities is a mix of economic, social and political incentives. The gated communities are a way for the middle class to create their own paradise (Zhang, 2012). Although gated communities are in general considered as a threat, in China this is not the case; there are different kind of Chinese gated communities and they are more of an outcome of formal service provision. Professor Wu states that it is a profound question if the gated communities will impose a decline of neighborhood attachment and reduce social networks. For political elites, the city is rediscovered as a development opportunity and used as an instrument to promote growth. Agglomeration is essential to the success but often the development follows an aggressive policy intervention, and sometimes the absence of agglomeration may help to explain why some new development is becoming a ghost city. The city has to be built through agglomeration but cannot guarantee that this mechanism always works. So the city became a spatial solution to the political elite to solve the problem created by the market development and to facilitate growth and in turn to legitimize its control. Professor Fulong Wu closes his lecture by concluding that the Chinese cities do not represent thé model of emerging urbanism, they rather contain some constellated elements of global urbanism. New world-scale development processes are interfacing with local structures, reinforcing and re-inventing old structures and creating new properties. These new features are not predefined and not predictable. ‘Emergence’ is not a result of the global conquering the local; the hybrid nature of market mechanism and state-led fast urbanization opens up new possibilities for comparison. Instead of applying a predefined set of theory to dynamic urban changes, emergence requires a more holistic approach to accept the differences. The understanding of Chinese cities opens up new possibilities of understanding the urban with a greater attention to governance which involves a wide range of actors in territorial politics. 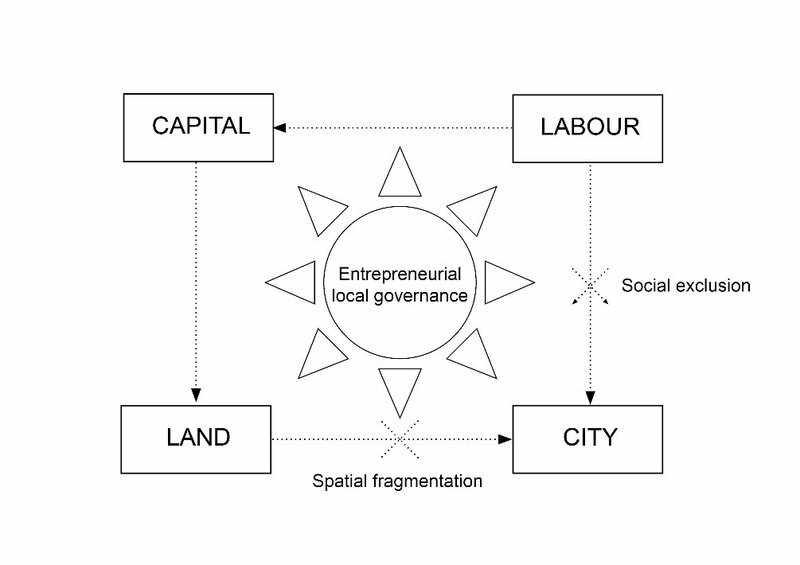 This also requires more understanding about the complexity of city planning, because although the Chinese context of planning is quite specific, recent reading of entrepreneurial governance and declining of democratic participation in the West would need to be further interrogated. The question rises if China actually needs growth? Professor Wu explains that China indeed has a slow growth policy now, this is top priority now for the central government since the rapid growth was also accompanied by mistakes. Developments are now more based on quality now. 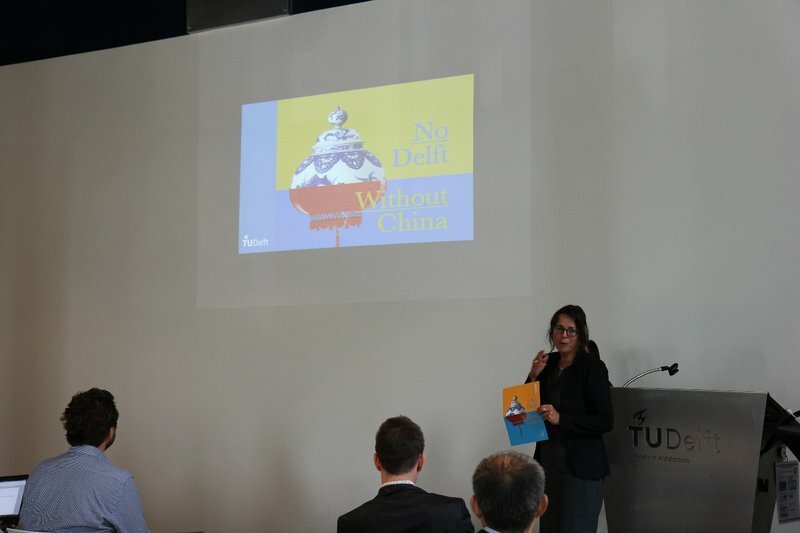 In this sense the way of developing in China and in Delft begin to match more. What we in particular take home from this public lecture by Professor Fulong Wu it that there is no singular Chinese development model; the whole world is influenced by global development which has an outcome in urban development, but we always act local in a contextualized environment. The poster of a current exhibition in the National Archives in The Hague as a symbolic image for having Professor Fulong Wu as Visiting Professor this semester: ‘What can we learn from each other’s approaches?’, Professor Ellen van Bueren. Fulong Wu is Bartlett Professor of Planning at University College London. 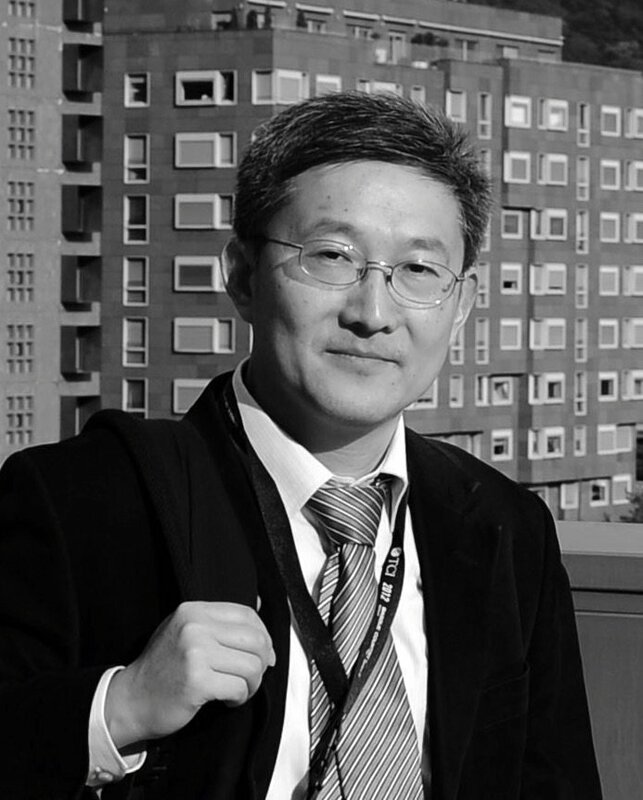 His research interests include urban development in China and its social and sustainable challenges. He has recently published a book, Planning for Growth: Urban and Regional Planning in China (2015, Routledge). He was awarded 2013 Outstanding International Impact Prize by UK ESRC. He is an editor of International Journal of Urban and Regional Research. He has previously taught at Cardiff University and the University of Southampton. Wu, F. (2015). Planning for growth: Urban and regional planning in China. Routledge. Zhang, L. (2012). In search of paradise: Middle-class living in a Chinese metropolis. Cornell University Press.